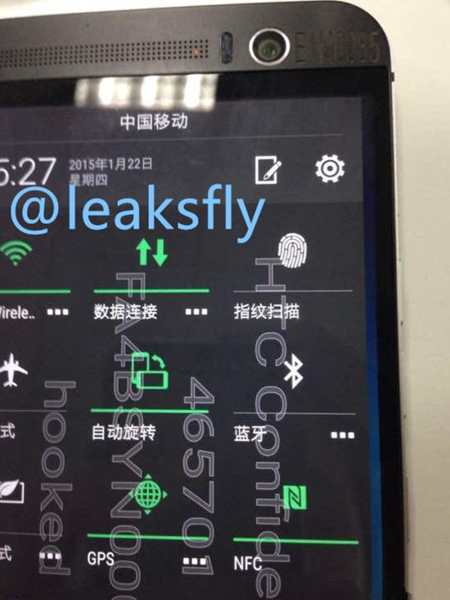 Photos of the HTC One M9 Plus have just been leaked online and it reveals a lot of secrets that have been kept under the covers by the Taiwanese phone maker. Head on past the break to catch the details on the upcoming phone. 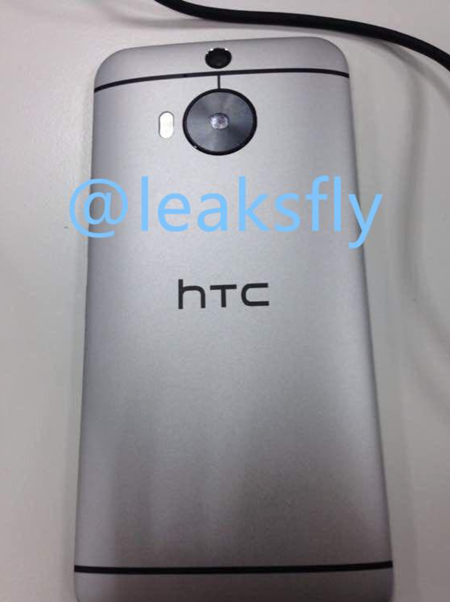 Just a couple of a days ago, we saw photos of what could be the upcoming HTC One M9, which looked pretty much like the One M8 except for a few distinctive changes such as the 20MP camera unit, and well, there was nothing else really. 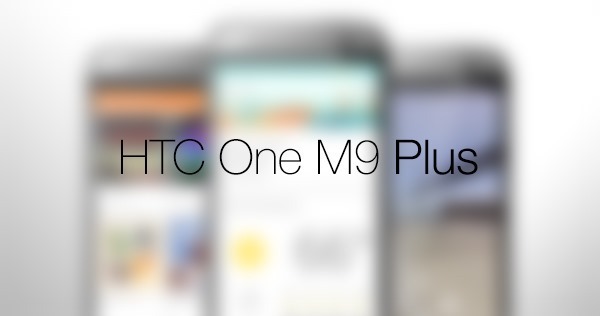 Where the One M9 falls short of, the One M9 Plus picks up with new features at hand. The One M9 Plus is the bigger version of the One M9 and HTC fans would be familiar with the company offering smaller variants of the One lineup of phones previously as well, but this time the Taiwanese giant is taking an Apple-esque route. As for the latest offering, HTC is going with a dual-camera configuration for the rear facing shooter if the photos are anything to go by. It’s a bit baffling how HTC is supposedly going with a single rear-facing camera for the smaller One M9, but chooses to opt for the dual-camera configuration in the larger variant, something HTC has had enough experience with. Apparently, the phone is packing what could be a fingerprint scanner, looking something like a home button from the latest Galaxy S and Note lineup of smartphones. This also means that the speaker grill for HTC’s BoomSound is missing as well. It is likely we’re dealing with a prototype unit here given the numbers scribbled on the top right edge of the device on the front. More so the fingerprint scanner disguised as a home button or the other way around, seems ridiculously out of place on the phone, and as for the dual-camera configuration, it is unlikely that HTC will launch the One M9 and One M9 Plus with camera tech that is poles apart. The complete set of specs – as leaked by the source – include a 5.5-inch 2K display, 3GB of RAM, Snapdragon 810 chip, dual rear cameras and a fingerprint scanner. Apart from that, we only have the photos to feast over. HTC is expected to announce its latest flagship device at its press event on March 1st, and if this leak is to be believed then the company is bound to release two smartphones this time around. What do you think about these photos? 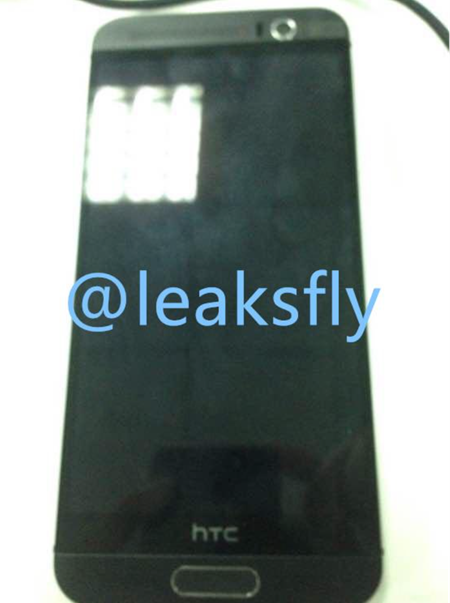 Let us know if you think HTC will go with a fingerprint scanner as housed in these photo leaks. Sound off in the comments section below. boring same design over n over again htc when will you impress??? And the fingerprint logo is exactly same as the iPhone and the home button is not aligned properly!